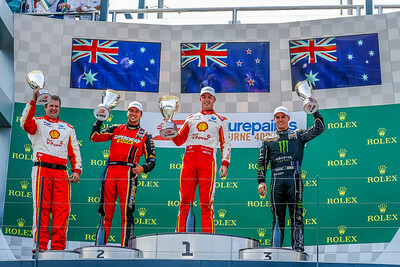 Australian Formula One Grand Prix - Event Wrap and Results. 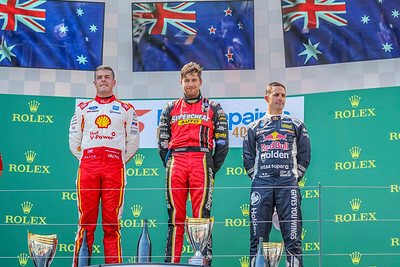 We headed down to Albert Park in Melbourne for the Rolex Australian Grand Prix the First race of the FIA Formula One World Championship Season.We attended the Opening Ceremony on Wednesday through to race day on Sunday and it was a huge few days. We had a full FIA media accreditation which gave us access to pretty much all areas which we used to our full advantage..
On the Card for the event was an action packed weekend of racing with the Australian Gt's , Ferrari Challenge , Cams Australian Formula 4 Championship, Porsche Carrera Cup and the main draws, Round 2 of the Virgin Australia Supercars Championship the Beaurepaires Supercars Melbourne 400 and Race One of the FIA Formula One World Championship the Rolex Australian Formula One Grand Prix. 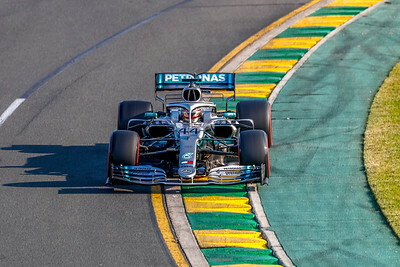 The first pole position of the season went to Lewis Hamilton, at the end of this afternoon’s qualifying session for the FORMULA 1 ROLEX AUSTRALIAN GRAND PRIX 2019. The reigning world champion was quickest ahead of his Mercedes team-mate Valtteri Bottas. This was the Englishman’s 84th pole, his 58th with Mercedes and the eighth at this track. Only Ayrton Senna and Michael Schumacher have taken this many at one circuit; Imola in the case of the former and Suzuka for the latter. An all-Mercedes front row is nothing new in this “hybrid” Formula 1 era, but the gap between the Silver Arrows and third placed Sebastian Vettel is quite surprising. Hamilton posted a 1.20.486 and Bottas a 1.20.598, making them the only two drivers to get under the 1m 21s barrier, as the Ferrari man’s best lap was a 1.21.190. After the Barcelona tests, one might have expected Ferrari to be the class of the field, but today’s verdict from Melbourne has turned that on its head, while confirming the first impressions from yesterday’s free practice. 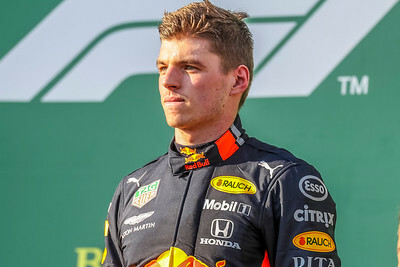 Max Verstappen will line up in his Aston Martin Red Bull Racing in fourth spot, alongside Vettel, having set a time of 1.21.320. The Dutchman can be relatively happy with having split the two Ferraris. Making his debut in the red race suit, Charles Leclerc was fifth quickest in 1.21.442. Max’s team-mate, Pierre Gasly had a difficult afternoon, failing to make it further than Q1 because of a strategic error from the team, which means the Frenchman will start from the penultimate row. As was the case in 2018 at Albert Park, again this year, the Ferrari-powered Haas team was fourth in the pecking order, at least in qualifying. Romain Grosjean was sixth in 1.21.826 and Kevin Magnussen was seventh in 1.22.099. 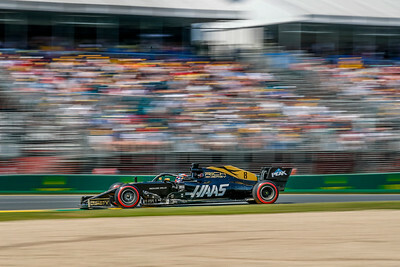 The Haas team-principal, Guenther Steiner, who has proved to be one of the most popular figures in the new Netflix F1 documentary, “Drive to Survive,” will be hoping for a better Sunday than his team had here twelve months ago! Lando Norris had a big smile on his face after qualifying. The rookie took his McLaren to eighth spot on the grid, making him the quickest Renault-powered car today, but team-mate Carlos Sainz was rather more downbeat, down in 18th spot. As for the Renault factory team, it has locked out the sixth row of the grid, with Nico Hulkenberg getting the better of local hero Daniel Ricciardo. One World Championship - Melbourne. Valtteri Bottas - Melbourne Walk. 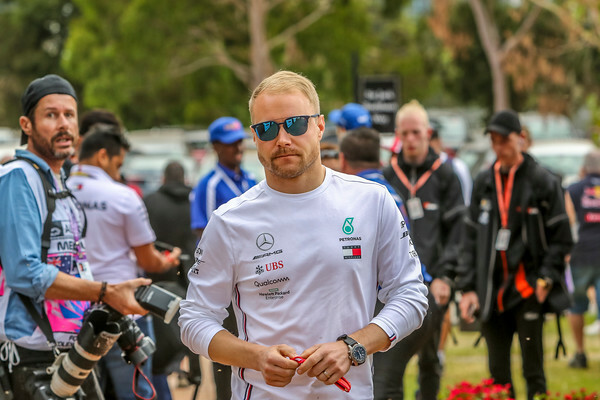 Valtteri Bottas has won the FORMULA 1 ROLEX AUSTRALIAN GRAND PRIX 2019 and, to make his day complete, the Finn becomes the first driver in F1 history to score 26 points from one event, as he also set the fastest race lap in his Mercedes AMG-Petronas Motorsport. 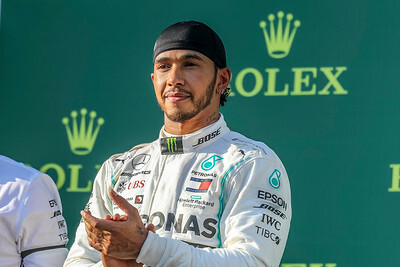 Combined with the points for second place picked up by his team-mate Lewis Hamilton, their team is the first to come away from a Grand Prix with 44 points. 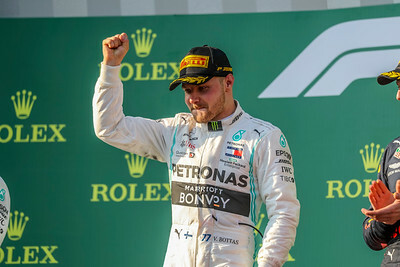 This was Bottas’ fourth career win, his first since Abu Dhabi 2017 and for the Silver Arrows, it is Formula 1 win number 88. 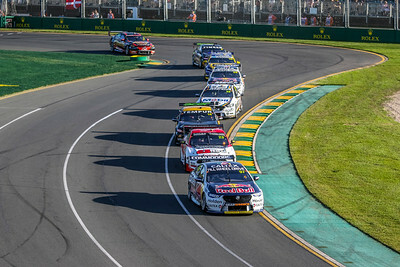 An amazing crowd of 102,000 flocked to Albert Park today, making a total of 324,100 spectators over the whole weekend. They were treated to a duel between the two Mercedes men, who both started from the front row, which was pretty much resolved after a few metres. Bottas got away much better than his pole starting team-mate. 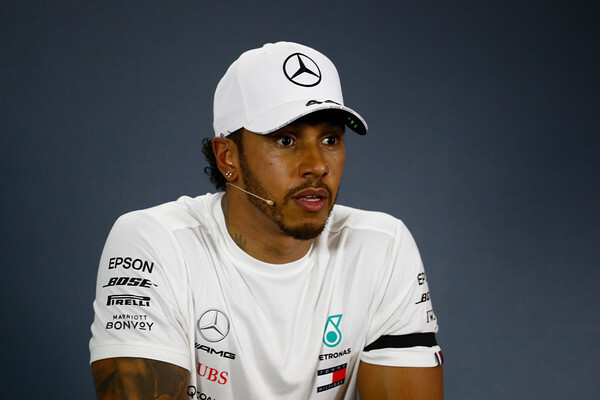 After the race, Hamilton’s car was found to have some damage to its floor, which had left the Englishman to manage the situation as best he could, given that today, the Finn ran at an unbeatable pace. For lovers of statistics, this is the fourth time that Hamilton has started this race from pole and gone on to finish second. 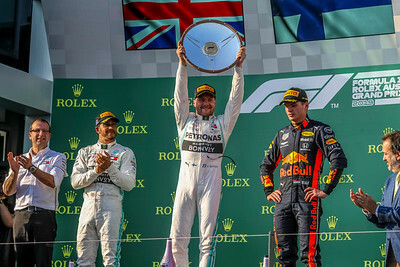 On the third step of the podium, we find Aston Martin Red Bull Racing’s Max Verstappen, who thus handed Honda its first podium finish in just under eleven years, the last one dating back to the 2008 British Grand Prix when Rubens Barrichello finished third. At the start, the Dutchman was able to get back ahead of Charles Leclerc, after the Ferrari man had briefly got in front and then, thanks to a well executed strategy, the Red Bull driver also got ahead of Sebastian Vettel in the other Ferrari. Verstappen then tried to attack Hamilton and even though he failed to pass him, he and Bottas fought it out for the honour of the DHL Fastest Lap Award, which eventually went to the Finn in 1.25.580. Scuderia Ferrari had certainly been expecting a better start to the season in the year in which the company celebrates its 90th anniversary. After the two winter test sessions in Barcelona, the general impression within the paddock was that the Scuderia could have been the team to beat and it is certainly what its army of fans had been hoping for. 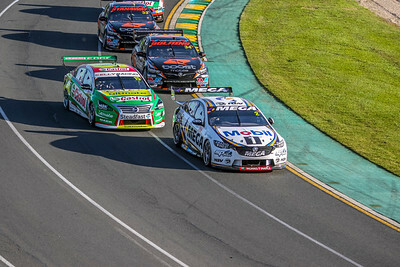 All weekend, the performance of the car had not lived up to expectations and Sebastian Vettel could only manage fourth in the race, the first time he has failed to finish on the podium in Melbourne since joining the Scuderia. Even though Charles Leclerc’s fifth place is his best F1 result to date, it was a poor one for the team, especially looking at a gap to the winner of almost a minute. This first race of the season seems to suggest that, once again, the top three teams have a really significant advantage over the rest of the pack. Right behind them today, came the Haas team, which had already secured that position in yesterday’s qualifying. All the same, it was an afternoon of mixed emotions for the American team: on the one hand, delight at Kevin Magnussen’s sixth place and on the other, disappointment for the repeat of the pit stop problem that compromised Romain Grosjean’s race and then led to his retirement, along the lines of what happened to both the team’s drivers a year ago at this very same track. 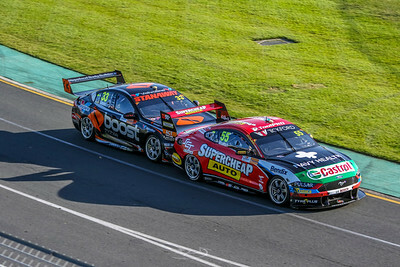 The rest of the points places was filled by four drivers from four different teams, all within three seconds of one another at the flag, which confirms how close things are in the midfield. Nico Hulkenberg took seventh place for Renault, following a difficult qualifying which had ended with him and team-mate Daniel Ricciardo failing to get to Q3. Kimi Raikkonen was eighth to secure some historic points for Alfa Romeo. It was the first time in 35 years that the Italian car company had featured in the points, the last being when Riccardo Patrese finished sixth in the 1984 European Grand Prix. Lance Stroll was ninth, recording his tenth points finish on his debut with the SportPesa Racing Point F1 Team and, on his return to Toro Rosso, Daniil Kvyat was tenth, just as he was in his last previous F1 race, the 2017 United States Grand Prix. The new technical regulations regarding aerodynamics introduced this year, with the aim of producing closer racing, seems to have had some effect, at least if one counts up the number of overtaking moves. 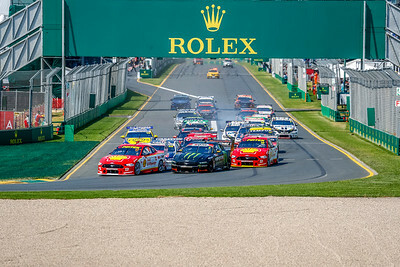 Albert Park is not exactly the best track for this and in last year’s Australian Grand Prix there were precisely two passing moves, whereas this year there were ten, with plenty of exciting duels, that all made for plenty of action on track. It’s clearly too early to draw any definitive conclusion, but first impressions are positive. To find out more, we only have to wait two weeks when it will be time for Grand Prix number 999, the FORMULA 1 GULF AIR BAHRAIN GRAND PRIX 2019.